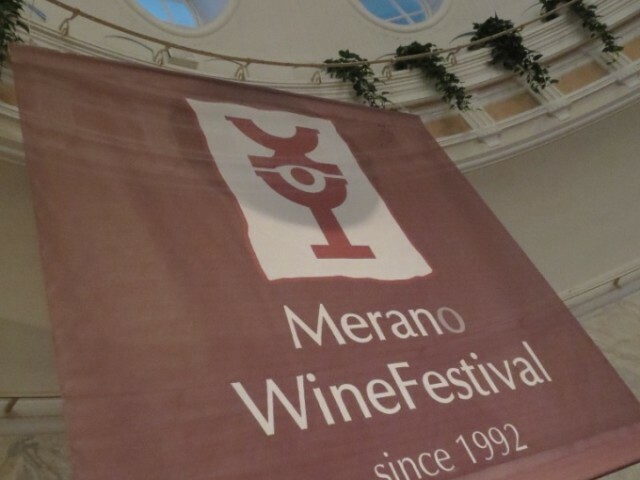 The Merano Wine Festival is a fascinating event that includes some of the best domestic wines and provides a space for everyone to get to know and appreciate them. Summarizing the last festival in Merano is no easy task but I’ll try to do it by describing some of the tastings that were the most interesting, divided by category. Let’s start with the bubblies and two labels that really impressed me. They are two very different bottles for many different reasons but they are both worthy of attention. On one hand, we have the amazing, fresh and pleasant Frankfurt Extra Brut SA by Le Marchesine, a cuvée made primarily from Chardonnay (60%) as well as some Pinot Grigio (25%) and Pinot Noir (15%). It’s one of those spumante that you’d drink forever because of its pleasant acidic, salty taste, clean on the palate and with a fresh and delicate bouquet. On the other hand, we have the elegant, majestic, full bodied top reserve. Of course, I mean no other than Madame Martis 2003 by Maso Martis, a Trento DOC made primarily from Pinot Noir (75%) that has fermented for 8 years, giving it an incredible richness that is never boring, both long and persistent, with an extremely fine wood and blend and a full and regal body. This is clearly a bubbly for special occasions. Another discussion has to be had about the bubbles from re-fermentation in the bottle. This is the traditional method used in many areas in Italy but its birthplace is Emilia Romagna and, in my opinion, this is the region that does this the best. The two products that caught my attention are a white and a red, if we can talk about reds here. The first is Colli Bolognesi Pignoletto frizzante 2011 by Mararesi. The Pignoletto isn’t a very well known grape but it has a big personality and a lot of potential. Re-fermentation in the bottle gives it a lot of freshness and acidity that is balances with the decisive structure of the grape, resulting in a wine that is anything but expected and is very drinkable. The second is the bottle that led me to make amends with the Lambrusco. This is the Sorbara Radice 2011 by Paltrinieri. The elegance of its color in the glass is surprising. It’s a pure but delicate red that is the sign of a fine body, full, elegant and tangy. The bottle seems to empty itself quickly and you’re just left with the memory of having drank something very, very good. This year, I made the decision to sacrifice my time tasting whites to focus more on reds. Despite that, three labels stood out among, I feel, the many others that I couldn’t taste. The first is, once again, a Pignoletto and this is Colli Bolognesi Vigna del Grotto 2010 by Orsi Vigneto San Vito. The non-sparkling version is a fascinating grape that has a lot of potential. It has a long, sustained finish, is full bodied and persistent. It’s a real surprise. The second is a definite winner: Colli Orientali del Friuli Bianco 2010 by Abbazia di Rosazzo, a blend of the main denomination whites (Friulano, Pinot Bianco, Sauvignon, Malvasia, Ribolla Gialla), which has all the harmony and character that you’d expected from a white from the Friuti region with the elegance that is so often sacrificed at the altar of pure and simple power. And to finish, a wine that could have a whole show dedicated to it: the Fiano di Avellino 2009 Vino della Stella di Joaquin. Low yields, maceration on the skins and significant aging in acacia barrels make this wine unique and surprising on the palate. What is striking in this case is the complexity of aroma and flavor. With every sip, you’ll discover a new and unexpected character that completes a very enjoyable Baroque sculpture. You could devote a treaty to the high caliber reds I tasted at this Merano Wine Festival and it still would not be enough. I will try to concentrate on just 5 labels that were the most convincing, a difficult but necessary task. Starting in Piedmont with a Barbaresco from the Brich Ronchi 2006 Albino Rocca reserve. It’s probably not the best Nebbiolo in the crowd, but what is most striking is the wisdom of its packaging. Creating elegance out of a year like 2006 and a region that is demanding as Barbaresco is an art that few could master and that requires wisdom, care and a gentle touch. 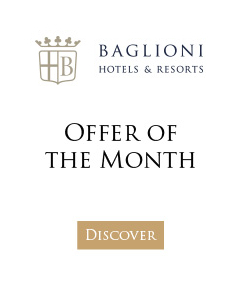 The Brich Ronchi is powerful to just the right extent, infinitely elegant and exciting. Moving to Tuscany, without dropping any of the big names but pausing a moment to discover a Sangiovese Colli della Toscana Centrale Cignale 2000 by Querceto. A super-Tuscan (sic) made up of 90% Cabernet Sauvignon and Merlot for the balance that needs time come to fruition themselves and that, after 12 years of aging, shows a maturity, fullness and exceptional finish. Seeing is believing. Finally we come to the south and, really, just as far south as you can go, Pachino to be exact, with the Sicilia IGT 2002 Nerobaronj Gulfi. An ode to Nero d'Avola: it braces its legs, squares its shoulders but has very gentle hands that make you fall in love. It brings you to the white earth where it was born and leaves you there to bask in the landscape, eat the grapes and lose yourself in the infinite blue of the Sicilian sea. I wanted to leave the last paragraph for the region that surprised me the most in terms of quality and average heights attained by its reds: Campania. Aglianico is a grape variety widely grown in southern Italy but, in Campania, it has a structure that is unique and different from all other production areas. There are two products I want to mention. First, Aglianico del Taburno’s Terre di Rivolta 2008 reserve from Fattoria La Rivolta. This “revolt” is extremely polite and aristocratic, concealing all the veracity of land, the fullness of the fruit, the significant but balanced acidity and a great roundness. Second, the 2005 Taurasi reserve by Rajamagra of Vinosia. It does have a lot of muscle but they are all in the right places. This is a wonderful treat that starts with a mature but never jelly-like grape with hints of coffee, cocoa and spices that then seem to start over in an infinite carousel of flavors that leaves you both stunned and dazzled as if by a breathtaking view. This is one to remember. This discussion is definitely limited and there are so many other names that deserve to be mentioned so I apologize but hope that I have provided a good starting point. Remember: a corkscrew at the ready and an unbiased nose are always the best weapons!